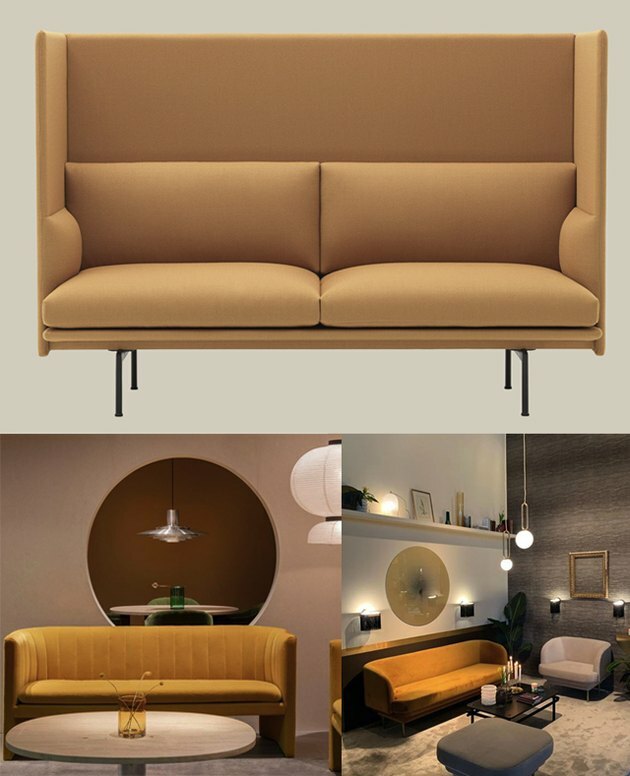 The curved sofa look isn't quite new, but now it's as if every curved couch in Europe decided to have lots and lots of babies. The shape adds a sense of luxury to the living room essential. 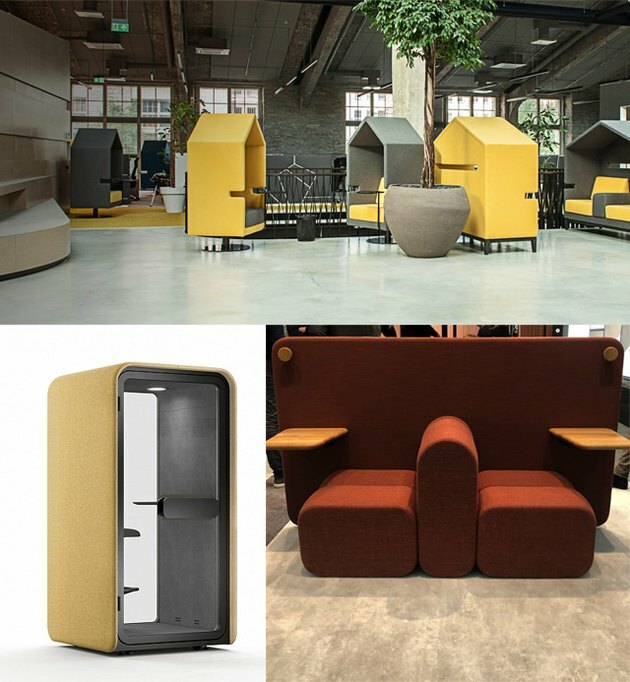 &tradition, Ferm, and New Works (pictured top, left, right) were just a fraction of the brands offering rounded seating. Yellow is a notoriously tricky color. But it seems 2019 is yellow's year of just going for it. (And, if you trust some research, it's 2020's color as well.) We didn't see a ton of bright-bright yellow, but mustards, marigolds, and pale or muted yellows were all over the place. 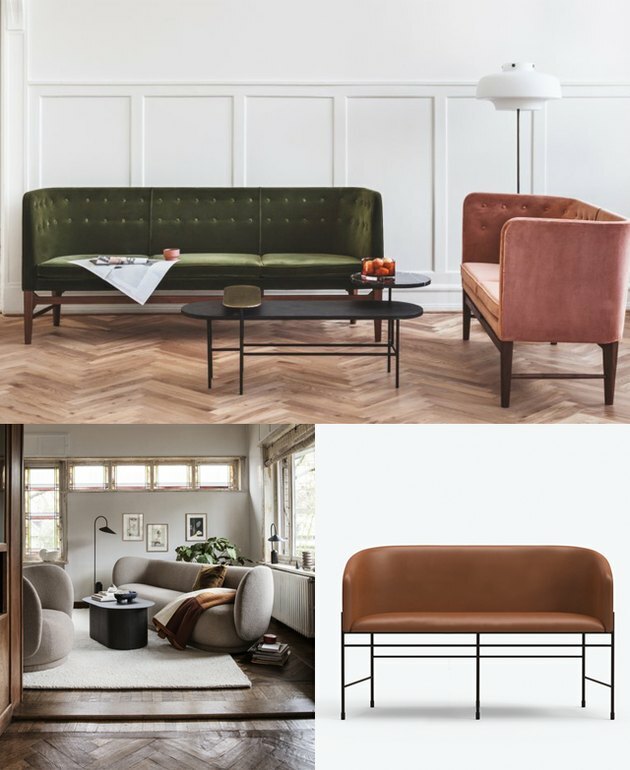 Some that stood out (from top, left, right): Muuto's highback two-seater, &tradition's Loafer sofa, and Eno Studio's curved velvet couch. 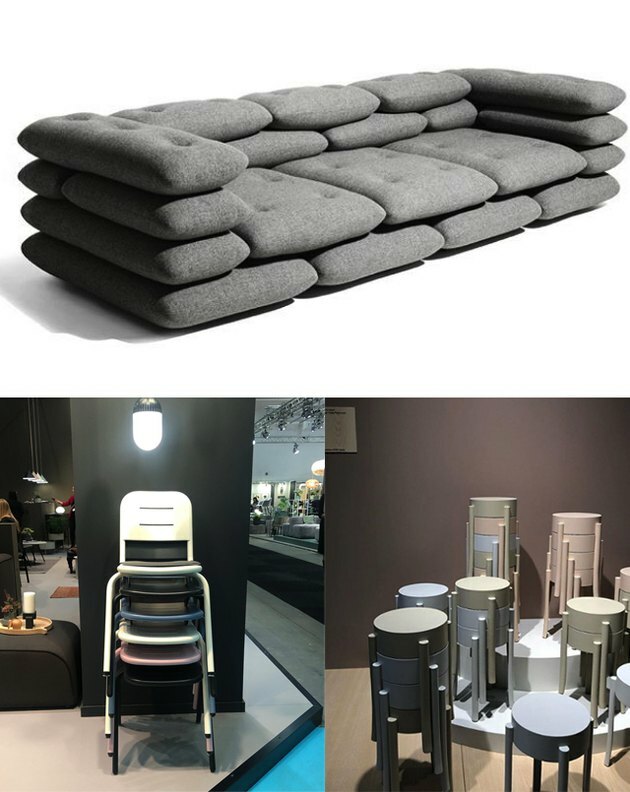 Scandinavian people are nothing if not proponents of form-meets-function, so it was unsurprising to see pieces that were geared toward convenience. In some cases, however, stacking or a stacked look felt very much like a lewk, if you get what we're saying. Examples (top, left, right): Jot Jot's Brick sofa, Woud's stacking chairs, and Swedese's stackable stool/tables. 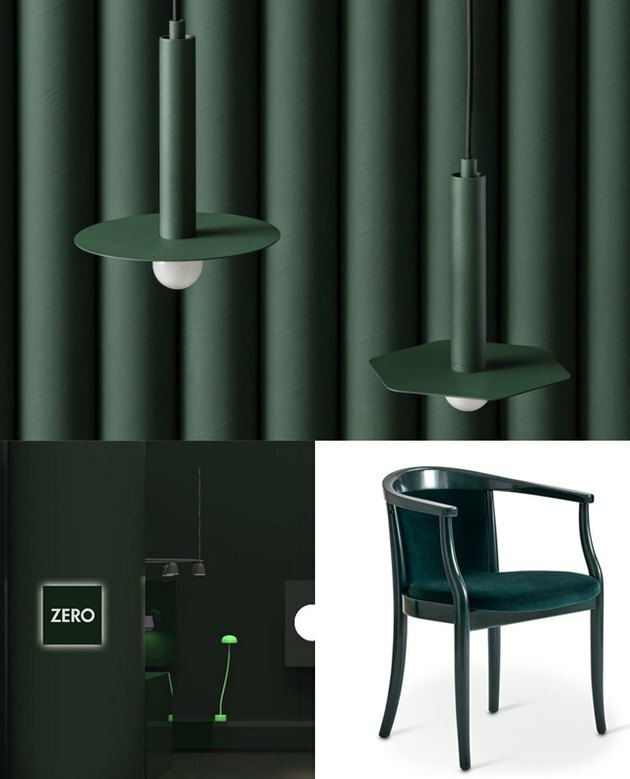 Green was positively EVERYWHERE at the Stockholm Light and Furniture Fair. We saw it appearing frequently on light fixtures, but also on sofas and chairs. Forest green seemed to be a particular favorite, with dusty sage coming in second. Examples (top, left, right): FILD's light fixtures, Zero's modern lamps and pendants, Gemla's beds and chairs. A large section of the fair was dedicated to office furniture, and while there were pieces that spoke to group interactions, we saw a trend of pieces that allowed for isolation; or at least intimate conversations. Examples (top, left, right): Borg's house-like chairs, Martela's PodBooth, and Blå Station's back-to-back seater. White and cream can seem boring, but not when you add something extra to it. 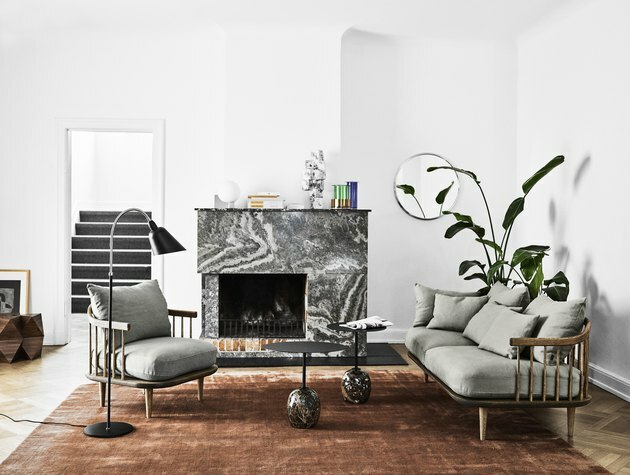 We observed several brands designing sofas, chairs, and seating in soft, cream colors (sometimes almost gray), but in textures that gave the pieces dimension: boucle, corduroy, velvet. 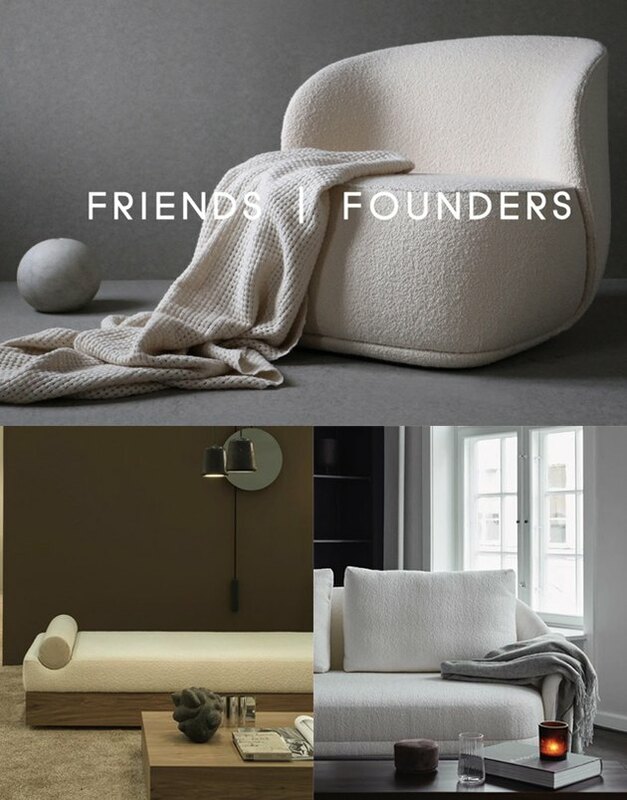 Examples (top, left, right): Friends & Founders' boucle chair, New Works' chaise lounge, Norr11's textured sofa.